Schirmer's test is used to determine whether the eye produces enough tears to keep it moist. 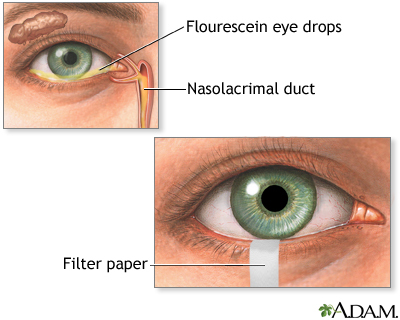 The test is performed by placing filter paper inside the lower lid of the eye. After 5 minutes, the paper is removed and the length of the paper that has become wet is measured.